I ordered 2 sets and I am hoping they last a long time, but at this price I don't mind replacing them. Not every sticker will fit my keyboard but the ones I do need stick great, look great and makes my life easier. I bought these because I wore the letters off of my keys and did not want to buy a new keyboard. I put them on my keyboard at work and now everybody wants a set! I've been using these labels on my computer keyboard for years. The large black-on-white numbers and letters can be seen even in low light. They do eventually start to wear a bit, so when I can find them (not always easy), I buy multiple sets. Sight improvement in finding keys. The letters are rubbing off my computer keyboard-I use it daily for my job. I keep wearing the letters off my keyboards. My "L" key has faded. I hope these will help my husband who is legally blind. My keyboard letters are wearing off, and I have been looking for a way to replace them. Need to cover up worn keyboard keys! 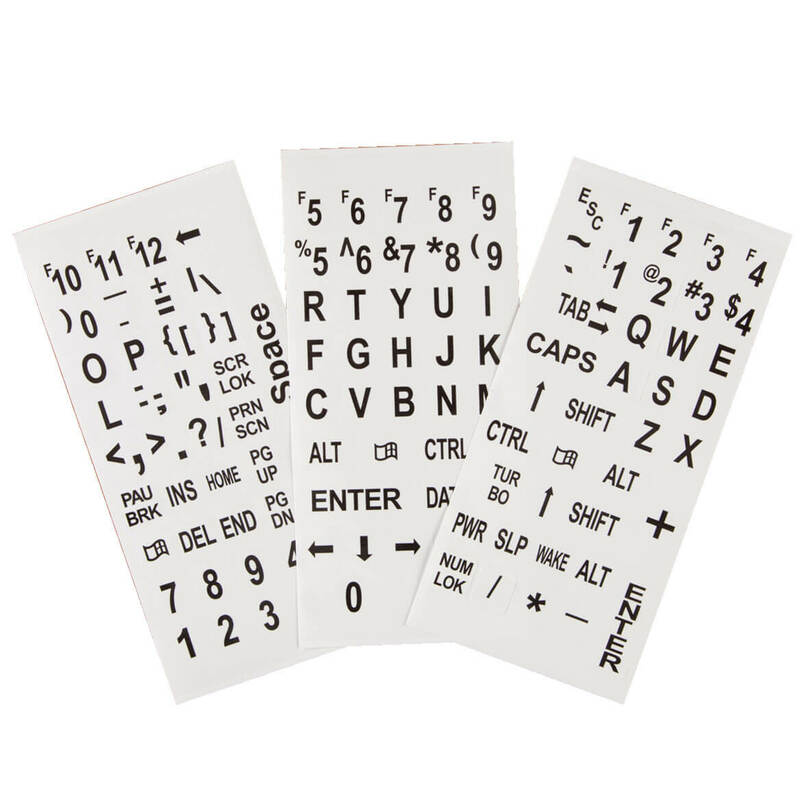 Because they do help me see the letters on my key board better in day light and dark. I love them. I want to better see the keys on my keyboard. To use on the keyboard. Have a silver one and letters on keys are not too seeable. needed a new set. some labels have fallen off in the last 2 years. because I sometime have trouble seeing the letters when I don't want to wear my reading glasses. You can't read the keys on my keyboard anymore. I've got a black keyboard and I'm typing in low light; I need more help! because i needed one - my letters are worn off the keyboard at work. Bought, cause I'm getting old. Current keyboard letters fading. This purchase may save me from buying a new keyboard. Duh! My Keyboard Letters Are Wearing Out! 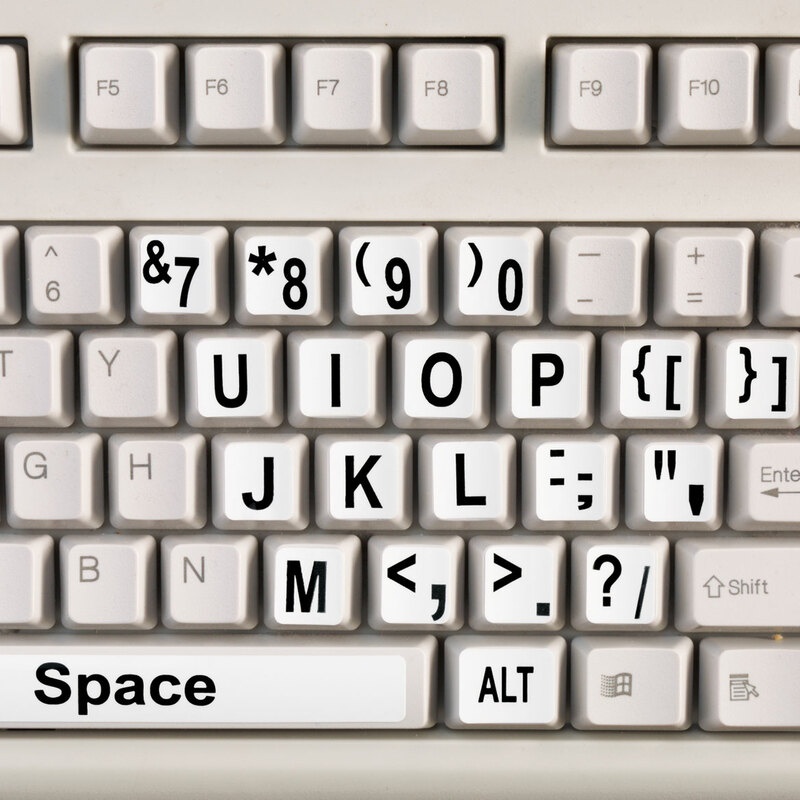 Because some of my letters on my keyboard are fading and hard to read. It's exactly what I needed to replace the worn labels on my computer keyboard. Letters are wearing out on my laptop.